Autumn feels like a lazy Sunday where time flows in a really strange way. You wake up one moment and the next moment Sunday is gone. So is autumn. There are so many things I love about this lovely season. As a photographer (wannabe), autumn gives me the most amazing backdrops of lights and nature. As a fashion enthusiast, autumn is the only time of the year I’m allowed to wear the kinds of clothes that would definitely freeze myself to dead if it were winter or make me a crazy woman if it were summer. And as an art lover, every breath taken in autumn is enough for a moment of inspiration to me. There’s a common saying about autumn that it is the perfect example of the heart-breaking truth things are most beautiful when they are dying. Ok I’ll stop rambling. 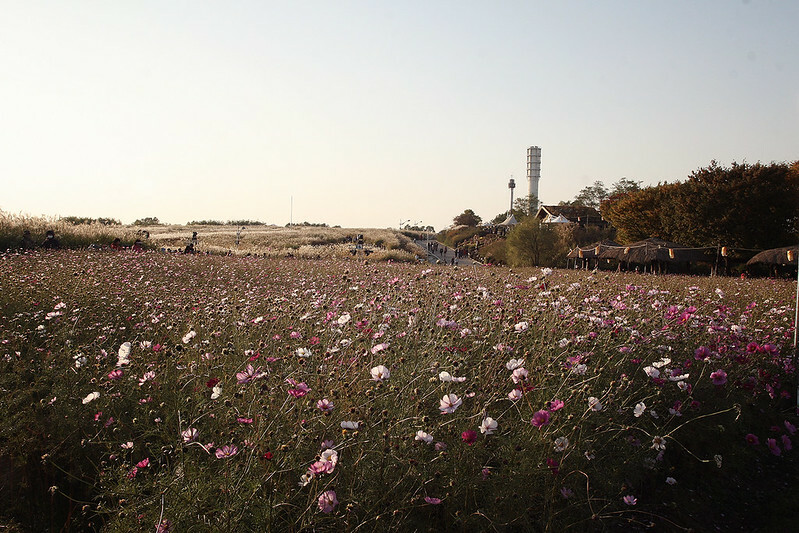 To celebrate the season accidentally amid midterm exam time, we decided to spend a day venturing out of the city to the World cup stadium where Haneul Park is located. In order to keep the surprise element, I didn’t look up on the Internet for the pictures of the park at all. It took us a great amount of time before we found the park but God was it worth the walking. Edit: They are actually the same park!!!!!! I just realized today lmfao. Greetings from the lovely city of Utrecht. I am now at University College Utrecht, writing something before dragging myself to the most dreaded thing for me in the world: Getting to know people. It is so hard to move to a new place for someone as anti-social as me. I cried for a good hour or so, thinking about how scary, difficult, and futile it is to make new ‘friends’ lol. Anyway, this early morning (6am) I took a stroll around the vicinity of the hostel I stayed and completely fell in love with Utrecht already. Such a beautiful, quiet place. So much green space, so many flowers, and the temperature was right up my alley. I happily embraced the 16 degree Celcius morning and walked for a good 2 hours. That feeling when you can walk long distance without sweating is such a luxury I haven’t had since forever.